The sample air stream is conditioned using the TSI Heated Inlet Sample Conditioner before entering the DustTrak II or DustTrak DRX optics. Aerosols absorb water and swell during humid environments. This results in larger signals that are interpreted as increased aerosol concentration by a photometer. 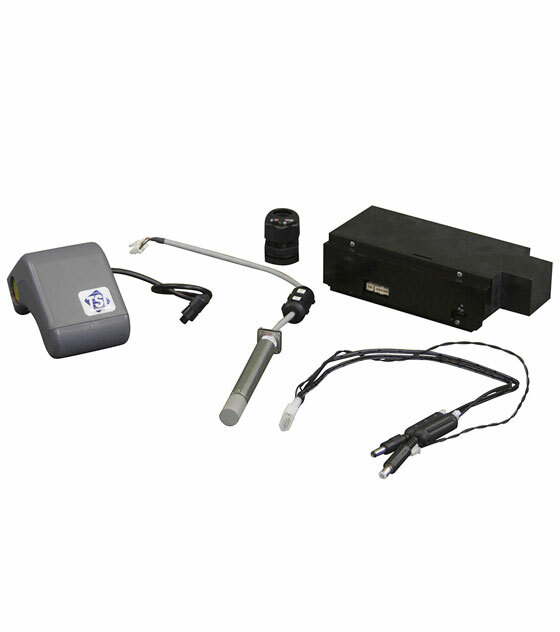 This elevated measurement caused by humidity is reduced by the Heated Inlet Sample Conditioner. TSI Instruments have designed this product to install over the AutoZero module on DustTrak II/DRX Models 8530, 8530EP, 8533 and 8533EP while in use with Environmental Enclosure Models 8535 or 8537. A wiring harness (included with the conditioner) easily connects power to the conditioner and the DustTrak from either the external battery system or line voltage.